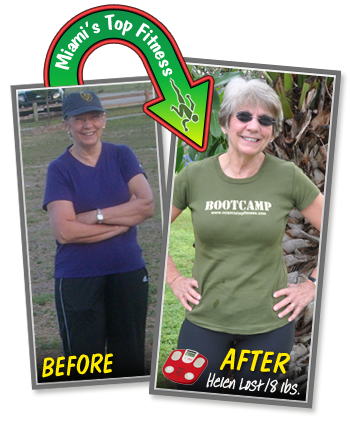 Residents of Miami and Kendall area express the success of the Fitness Boot Camp program they have had with us at Tropical Park. 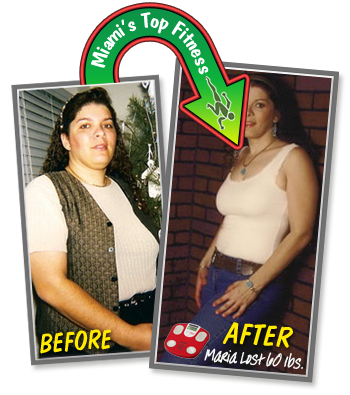 Address : 7900 Bird Rd, Miami, FL 33155 Miami, FL. 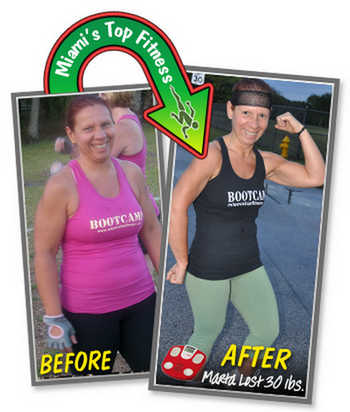 Miami’s Top Fitness Boot Camp changed my live. Thanks Alain, you know what to do!!! 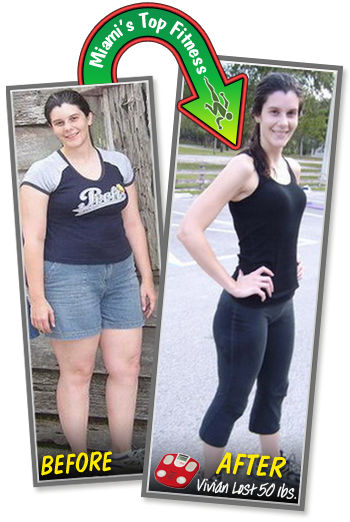 This is the right weight lost program for you, come to the class and I will tell you personally how we did this big change. Now I can run 5 K and obstacles course races without stop. 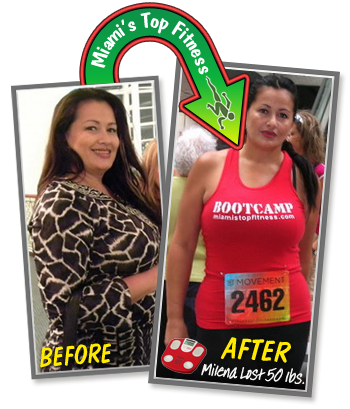 Just pass by now..
“MY LIFE HAS IMPROVED 200% SINCE STARTING FITNESS CLASSES WITH MIAMI’S TOP FITNESS. I THOUGHT I COULD NEVER LOOK AND FEEL THIS WAY, BUT THE MOTIVATION AND ENTHUSIASM THAT COACH ALVAREZ PROVIDES MAKES IT SEEMS SO EASY. 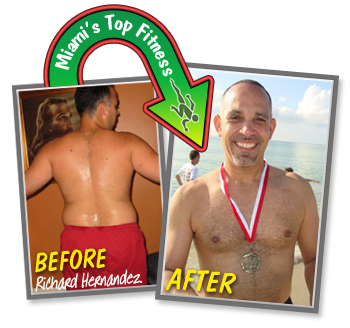 THE PLAYFUL GROUP COMPETION MAKES HIS CLASSES FUN I AM STRONGER, LEANER AND MUCH MORE TONED THEN BEFORE. 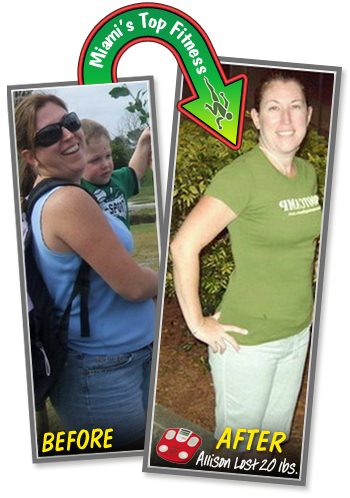 PEOPLE ARE ALWAYS TELLING ME HOW MUCH YOUNGER I LOOK AND IF I HAVE LOST WEIGHT. 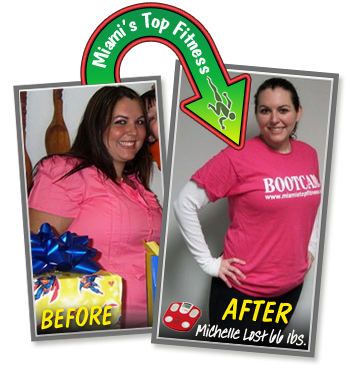 IT IS FLATTERING TO KNOW THAT PEOPLE ARE SEEING POSITIVE CHANGES. I WOULD RECOMMEND THIS CLASS TO ANYONE, BECAUSE ANYONE CAN DO IT. THE CLASSES ARE FOR EVERYONE”.